Create a habitat for your local wildlife. Think first of the birds, butterflies and bees that you can support in your garden habitat, then select plants that provide the kinds of food they need, such as nectar, berries or seeds. Plant according to your region, local environment and conditions, from sunny deserts to shady woodlands. Use NWF’s “Plant Finder” to get a list of the plants native to your area that support wildlife. Pssst: The experts at Wild Birds Unlimited in Flower Mound can give you tips for attracting birds, butterflies and other beneficial insects to your yard. Stop in today! Think small. No yard? No problem! For those with small outdoor spaces, select pots and planters that allow you to plant a selection of blooming pollinator-friendly native plants. Plant for year-round diversity and beauty. Wildlife needs food, water, cover and places to raise young all year. Choose a variety of plants that bloom at different times of the year, from native wildflowers to shrubs that produce berries. Evergreens provide year-round cover. Think vertically, too. 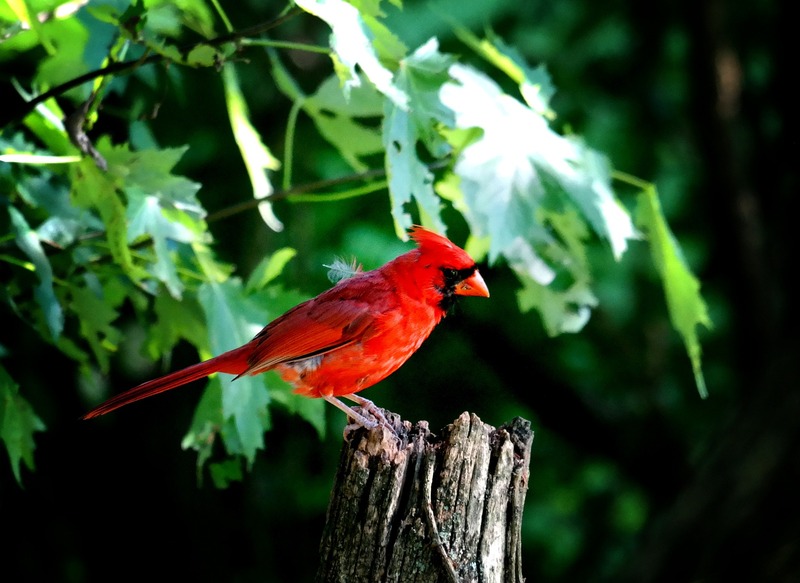 Incorporate existing large trees and then underplant with smaller trees and shrubs for cover and nesting places. Plant in groups. This will result in more color, textural impact and eye-catching patterns throughout the garden bed or landscape. This technique also draws the eye into the garden, and the close plantings will prevent weeds and minimize the need for excess mulching. Clusters of blooming plants are more likely to attract butterflies, bees and hummingbirds. Certify your garden. 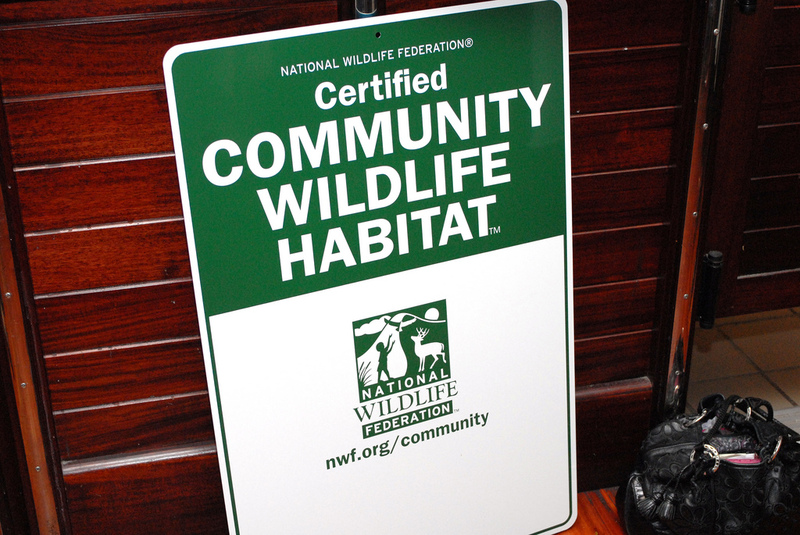 Celebrate by certifying your garden with the National Wildlife Federation and proudly display a sign! Show why you have designed your yard intentionally to help wildlife and encourage others to do the same. Certifying also spreads the wildlife gardening message to your entire neighborhood. Keep water sources in mind. 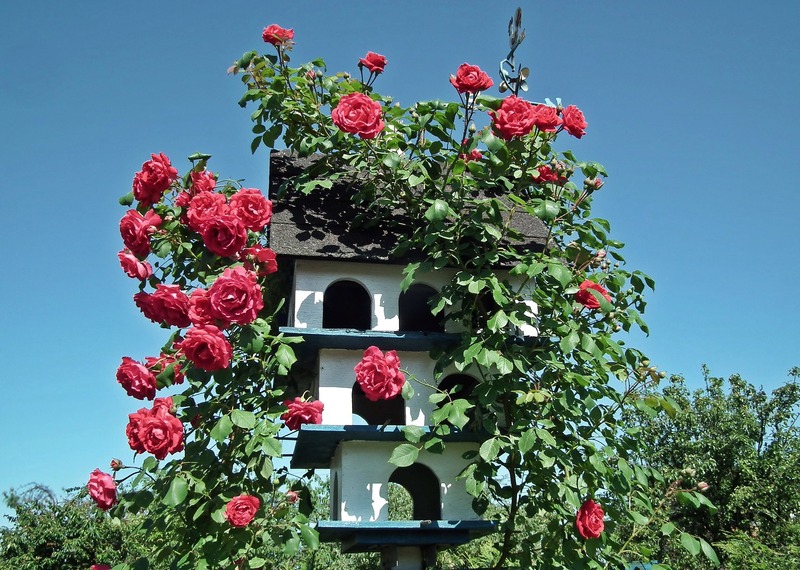 Adding bird baths or container water gardens help attract a variety of wildlife, from birds to tree frogs.